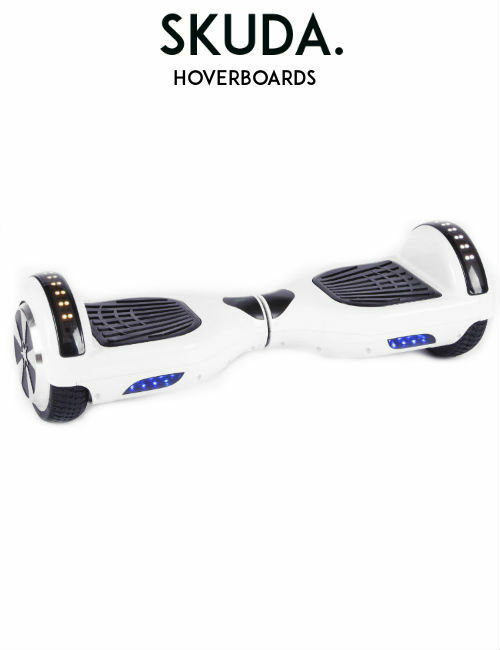 Our Metallic White DISCO Hoverboard is the classic timepiece in our vast collection of Swegways for sale. The classic design and sophisticated Metallic White exterior makes this our staple piece here at SKUDA. 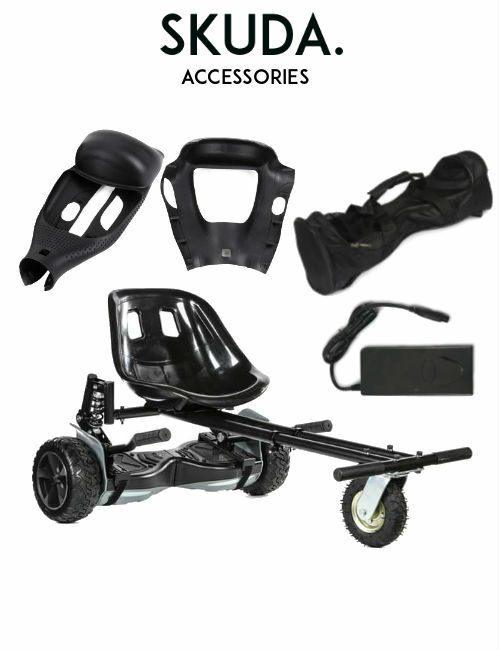 Its timeless and sleek design means it will never go out of fashion, so you can be sure you will always be riding in style. What’s included in the SKUDA. package? 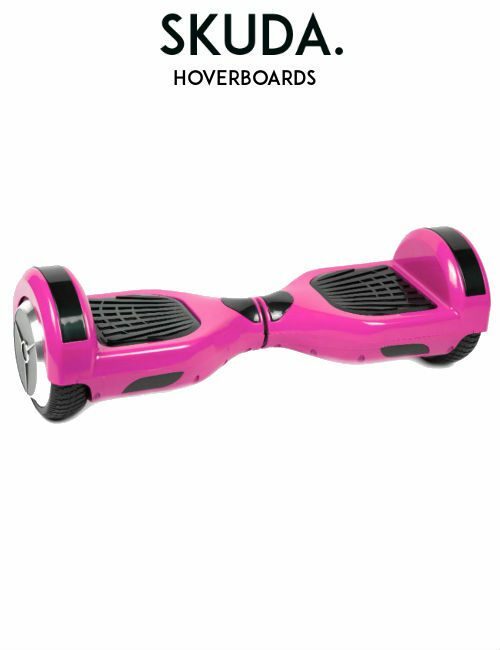 This high quality, two-wheeled, self-balancing White Disco Hoverboard delivers not only enjoyment, but the added benefit of style and grace. Our SKUDA. 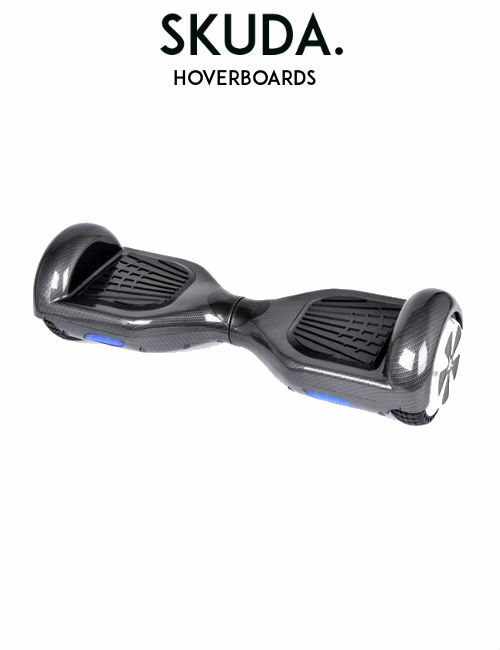 Hoverboards are powered by official Samsung batteries to ensure consistent performance and maximum ride time. 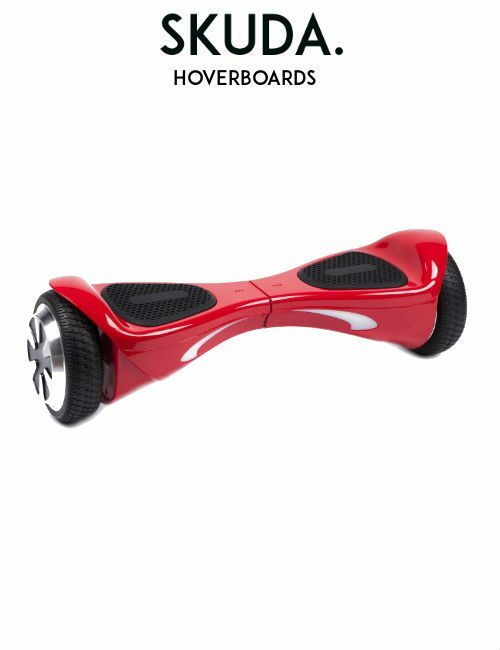 The sleek design offers a streamlined and attractive electric motor powered board. Every SKUDA. 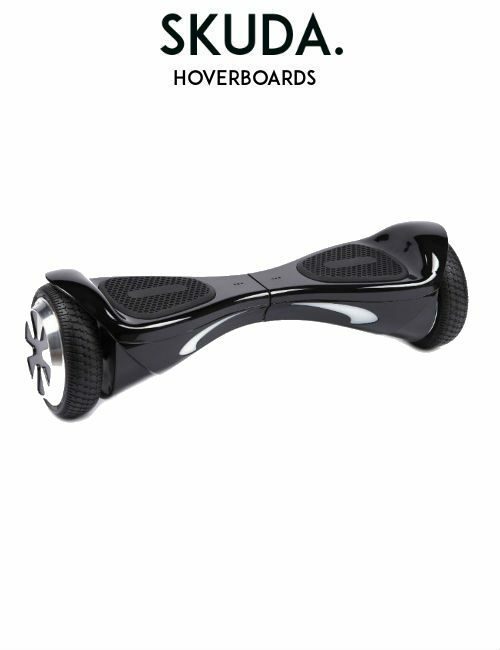 Hoverboard comes with integrated LED lights to give maximum visibility and incredible road clarity, for those night-time adventures. With a built-in Bluetooth speaker, you can simply connect your phone via Bluetooth and listen to your favourite songs on the go! 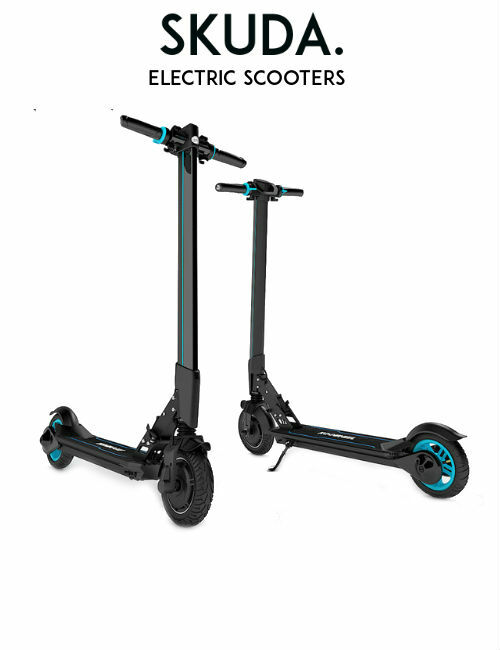 Ride both indoors and outdoors for up to 3 hours with a quick 2-hour charge time (depending on terrain and driving technique). 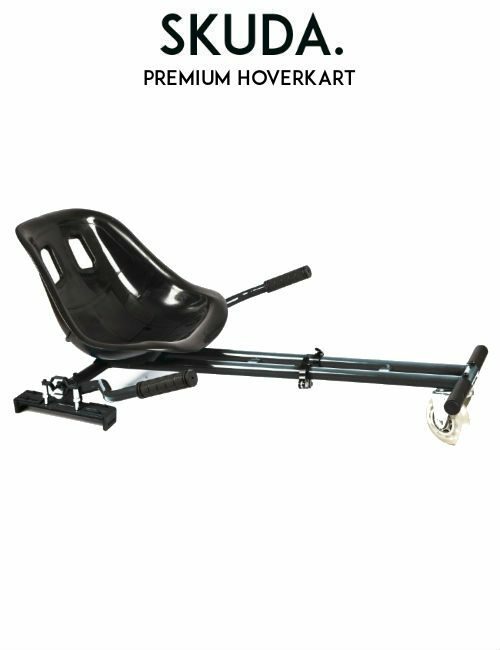 We recommend purchasing a SKUDA. Silicone case to prevent your board from scratching. We know that new users tend to scratch their SKUDA. board whilst learning to use it and getting to grips with the device. 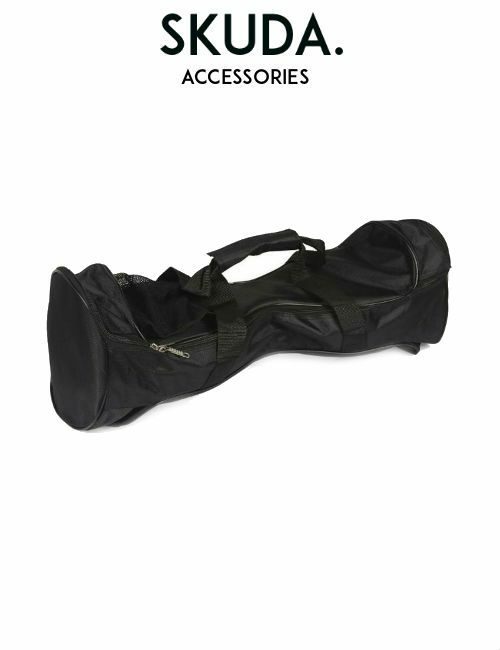 Our cases are designed to prevent exterior damage and add that extra bit of protection. 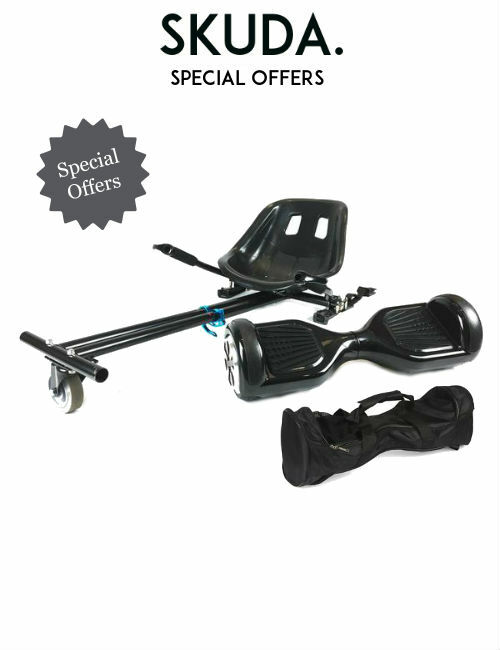 All orders to the United Kingdom are posted via next day delivery with courier service DPD. All orders are provided with a tracking number which is sent via email confirmation. DPD will text you on the day of delivery with an allotted time slot. A signature is required upon delivery of the parcel. To qualify for next day delivery, orders should be placed before 2PM. Orders placed before 2PM are processed and dispatched the same working day. If your order is placed after 2PM, the parcel will be processed and dispatched the following working day. Working days are Monday to Friday, excluding bank holidays.